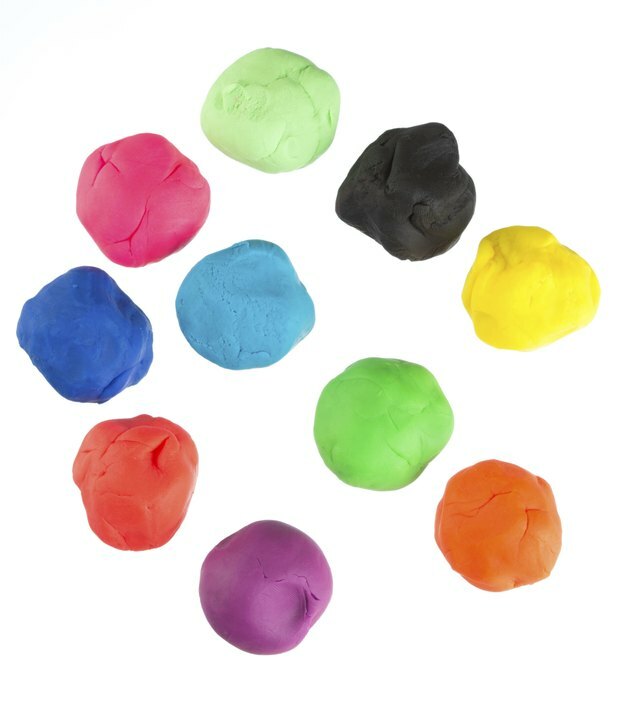 Flarp is a noise-making putty created and sold by toymaker Ja-Ru, Inc. Kids and grown-ups alike revel in the insinuated humor of Flarp, but whoever gets stuck removing it from carpet or clothing is a little less amused. Although it appears to be a permanent fixture accompanied by an unremovable stain, the process of eradicating the goo mixture from your carpet is not as intimidating as you might imagine. Remove Flarp from carpet carefully to avoid spreading. Freeze the Flarp with an ice cube as a first method of attack. Rub the ice cube over the Flarp until it hardens. Use the butter knife and your fingers to pull the hardened Flarp from the carpet. If necessary, use tweezers to pull the Flarp from deeper sections of the carpet pilings. Apply more ice to harden the Flarp if it begins to soften. Rinse the putty residue from the carpet with a rag and cool water. Blot up excess water with a dry rag. Remove any remaining Flarp with a cotton ball soaked in a generous amount of rubbing alcohol. Blot the Flarp stain gently with the soaked cotton ball. Switch to a fresh alcohol-soaked cotton ball as each one becomes soiled with the putty. Continue blotting with fresh cotton balls until no more Flarp is being transferred from the carpet. If you prefer, use white distilled vinegar or vodka instead of rubbing alcohol. Dampen a rag with cool water. Rub the affected area of the carpet gently with the rag to further remove any Flarp residue. Avoid rubbing too hard or you may actually push the Flarp remnants further into the carpet fibers. Blot the carpeting with a dry rag to soak up excess moisture. Allow the carpet to air dry. Use an oil-based solvent for any stains remaining from the removed Flarp. Spray the solution directly onto the carpet. Allow it to set for 5 minutes. Rub the area with a wet rag. Continue this process until the stain is lifted. Blot dry with a clean cloth.